Forklifts can help get a lot of work done, but they pose dangers that both operators and pedestrians must watch out for. Every year more than 100 people lose their lives in forklift incidents and thousands more are injured. There’s a pretty good chance you’ve been involved with or witnessed a forklift accident. Receive industry leading forklift training by a certified trainer to avoid forklift hazards.Learn more today! to loads and costly repairs, but also to keep your operators safe from injury or even death. Proper training, supervision and daily inspection are crucial. Why? Safe forklift operation all starts with a well-trained operator, Clause 25(2)(d) of the OHSA, states that it’s an employer’s responsibility to ensure all operators are competent to operate forklifts, following the completion of a training program. A key component in operating a forklift safely is being able to perform an inspection. 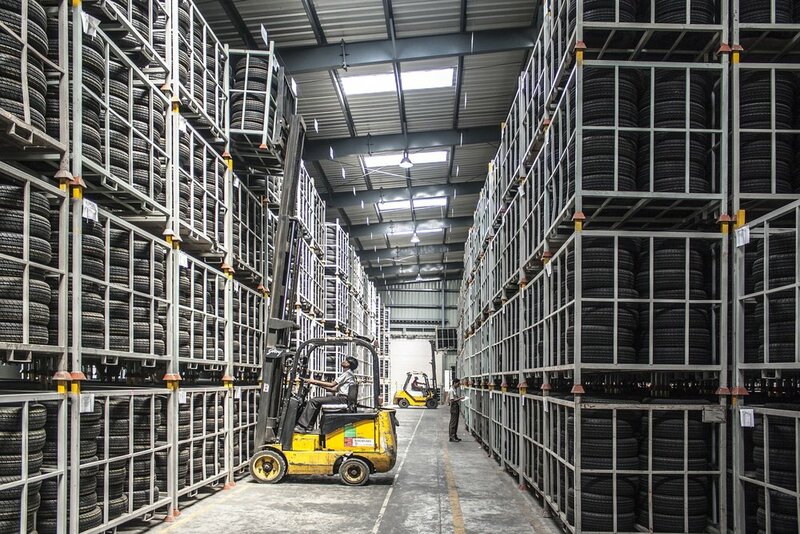 During the inspection, operators are supposed to check faults from the previous day, tire conditions, fluid levels, safety devices and the condition of the forklift. The operator documents any issues uncovered by the daily inspection. Our forklift training will provide you with a inspection log book to ensure the inspection is properly carried out. Employers who require employees to operate forklifts will benefit from our Forklift Operator’s Daily Checklist. Do not become complacent – just because someone else has carried out a check doesn’t mean that the individual forklift operators shouldn’t be carrying out their own checks as well to ensure the forklift is safe to use. That is a very big mistake. At Wayco, it is important to us that a proper forklift inspection is done that can help ensure that your workplace does not experience a forklift fatality. Our highly and certified Trainers will ensure that, at end of the day, workers are able to go home safe and sound to their families. “I thought he saw me, and he should be more careful with his forklift.” said the pedestrian.”As I was backing up, I assumed he knew I was there because of the noise and the smell of the forklift.” said the forklift operator. Knowing who has the right of way, the pedestrian or the forklift, is a common problem and can be the cause of many forklift accidents. Who has the right-of-way on a job site or in a warehouse? During an Ontario work site poll of about 2200 operators, the responses were split 50/50: half stating the forklift and half stating the pedestrian. The answer is not clear, therefore it is important for both operators and pedestrians receive training around this. The importance of training pedestrians is too often overlooked. Have you considered taking our basic awareness training for non-operators such as office staff, visitors, and sales people who may travel into the warehouse or yard? use pedestrian lanes and if you can’t see them, they can’t see you. 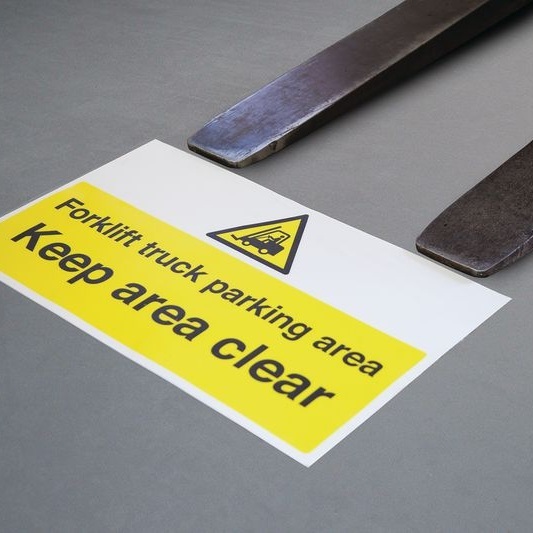 There are many things that the workplace can do to help protect workers around forklifts such as create pedestrian lanes, keep aisles clear and improve warning equipment on the forklift and in the warehouse. These are just some of the things employers and pedestrian can do to help ensure a safe work place. Even though, there aren’t any OHSA requirements for pedestrian training, it should be done to avoid putting yourself at risk of being struck by a forklift. Just Remember that forklifts aren’t cars. Even if they could stop as quickly as a car (which they can’t), their loads cannot which is as dangerous as the forklift itself. carrying a load that blocks your vision. The hardest part of lift truck training is learning how to maintain their center of gravity within their stability triangle. Our expert trainers will teach you to understand how forklifts maintain their balance, especially when handling heavy loads to keep you and everyone around you safe. Ensuring a stable load starts with learning the safe practices of overall load handling. If you are an operator of a forklift, then you have a very good chance of experiencing some type of accident during the course of your career. You are driving the forklift, you look down to read a text received on your phone, the next thing you know, you find another forklift coming right at you. It takes less than a second for an accident to happen. That simple distraction could have just cost someone their life. Never take anything onto the forklift that might distract you from being alert and aware. Forklift operators need to avoid distractions. Does your company have clear rules for forklift safety regarding devices, drinks, food and passengers? If not, then you need to set personal standards because every year, distractions lead to thousands of serious forklift accidents, some resulting in fatalities. You need to mentally check your mind in when driving a forklift. A distraction divides your attention, no one can concentrate on two things at once. It’s just not humanly possible. When you’re trying to do two things your brain is rapidly shifting its focus from one thing to the other. Whenever it shifts, it is distracted from the other task. That means not using your cell phone, not looking at paperwork, not daydreaming about what you are going to do after work or what your co-worker is doing behind you. Keep your focus. In addition, forklifts can encounter a variety of hazards while moving, so it is important to pay attention to your surroundings, signs, and speed. With our proper training you will learn defensive driving techniques to avoid distraction and recognize forklift safety hazards.Using the forklift properly can help you accomplish tasks more efficiently and safely, but when unsafely operated, potentially catastrophic incidents can outweigh their benefits. Forklifts run on either propane, gas, diesel, or electricity. Forklifts that run on fuel create exhaust fumes, but the fact is they perform better than electric forklifts. You cannot use diesel or gas forklifts indoor. Only propane can be used indoors and only if the business has sufficient ventilation. Did you know that propane gas is heavier than air? So leakage from a vehicle parked or stored near an unventilated pit or a lower level room, can present indoor air quality hazards. When the weather is cold and the doors and windows need to be closed, the risk increases. Propane gas is also very flammable and is a potential fire hazard. Got a light headache? It could be due to carbon monoxide. Carbon monoxide is very dangerous because it is tasteless, colorless, and odorless. Gas and diesel forklifts when used indoors can leave a high concentration of carbon monoxide which is undetectable by our senses. It is produced by the burning of fuel. It can quickly poison you and other people around in that confined area. When forklift operators fail to take necessary precautions propane and other fuel related accidents can occur, possibly causing damage to property, lost productivity, or in the worst cases injury to or even death. Everyone wants the safest working environment for their workers. By taking our forklift propane handling training, you can avoid all of these hassles. Our professionally trained staff can provide propane forklift safety training classes for your employees. 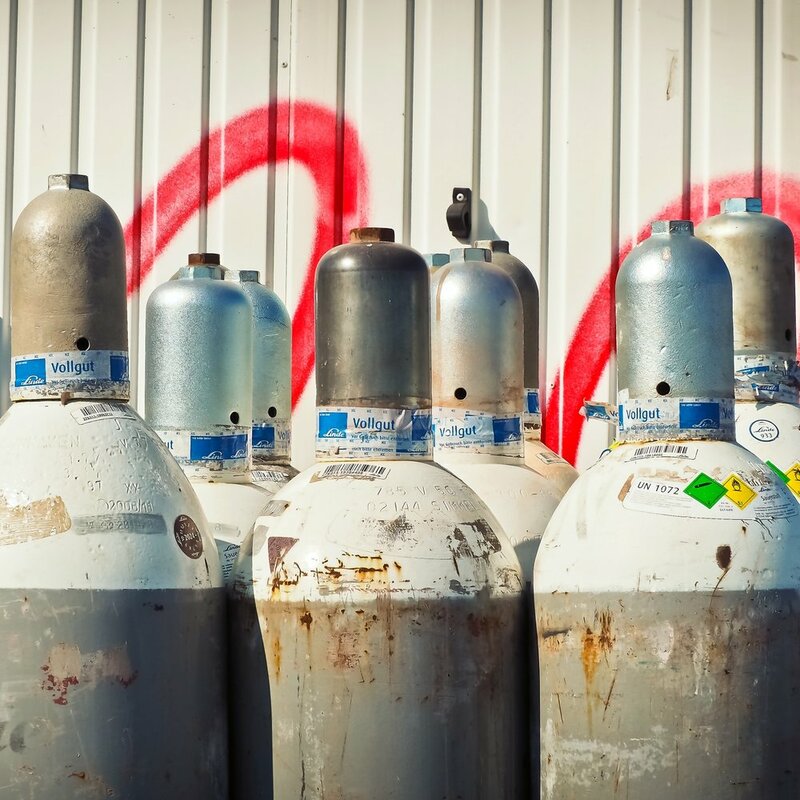 We practice the most efficient and safest methods in propane cylinder handling. And remember, always wear proper eye protection and gloves when handling propane cylinders. Rushing to finish the job before lunch? “Hurry up, Scotty. Get out of my way; we’ve got to keep moving.” Employers need to think about the unreasonable deadlines that may cause the operator to rush which more than likely will cause an unnecessary accident, injury, or death. When it comes to forklift safety training, operators and employers must share the responsibility of having each operator properly trained. The better approach is to emphasize that safe operation takes priority over production. It is the first line of defense in reducing forklift related incidents. Our Well-Trained Safety instructors will teach you the key features of a safe forklift, proper safety protocols, and the best practices for your workplace while operating a forklift. No job can or should be completed without proper training. This is particularly true when dealing with heavy machinery, such as forklifts, in the workplace. Proper safety protocols are not just good for obvious reasons (preventing accidents), they will also ensure the success of your company.